When should I submit my manuscript/paper? You can submit your manuscript/paper (word format only) through on-line at anytime. There is no deadline for paper submission, so you can submit your manuscript at any time. Where should I submit my manuscript/paper? How should I submit my manuscript/paper? Where should I download manuscript/paper format? You can download manuscript/paper (word format only) through on-line at submenu (download) of respective journal of A D Publication. Paper submissions are acknowledged instantly via e-mail. This e-mail contains paper ID, user name and password for further action. Where should I download copyright form? You can download copyright form at submenu (download) of respective journal of A D Publication. Are the A D Publication journals peer-reviewed? 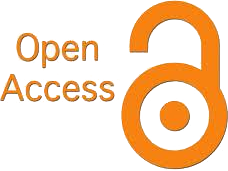 All articles accepted by A D Publication journals would be peer-reviewed before published. Do you have print copies of Journal? Yes. A D Publication publishes on-line journals and the same version is printed and distributed to the authors. Payment details are available under Author Guidelines > Publication Charges. However, the articles can be downloaded free of cost. Can an article be withdrawn? Article Withdrawal: Only used for Articles in Press which represent early versions of articles and sometimes contain errors, or may have been accidentally submitted twice. 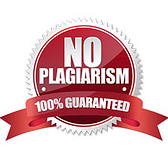 Occasionally, but less frequently, the articles may represent infringements of professional ethical codes, such as multiple submission, bogus claims of authorship, plagiarism, fraudulent use of data or the like. Article Retraction: Infringements of professional ethical codes, such as multiple submission, bogus claims of authorship, plagiarism, fraudulent use of data or the like. Occasionally a retraction will be used to correct errors in submission or publication. Article Removal: Legal limitations upon the publisher, copyright holder or author(s). Article Replacement: Identification of false or inaccurate data that, if acted upon, would pose a serious health risk.